This 2-day training at the Miltenyi Biotec training facility is composed of theoretical and practical sections. It includes training documentation, usage of laboratory equipment and reagents, as well as hotel accommodation. A certificate is issued after successful completion of an exam. Chimeric antigen receptor (CAR) T cell therapy is one of the major new developments in cancer therapy, documented by recent successes of CAR T cell therapy in fighting hematologic malignancies. The great potential of genetically modified T cells targeting diseased cells now even expands into the area of solid tumors and infectious diseases. 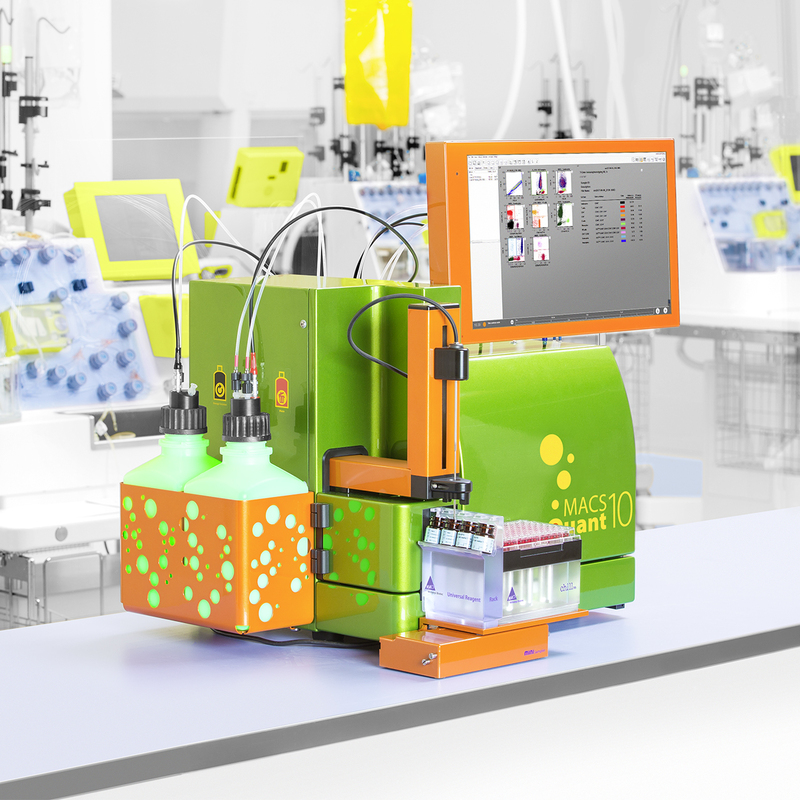 In the manufacturing process of engineered T cells, the flow cytometric analysis of the final CAR T cell product is an essential step that ensures quality requirements. This course provides hands-on experience for detecting and analyzing CAR T cell products using CAR T Cell Express Modes on the MACSQuant® Analyzer. Express Modes are standardized data analysis tools that are optimized to automate flow cytometric measurements and analyses via predefined experiment settings, acquisition, and automated gating. The CAR T cell analysis training covers all instrument setup and basic handling steps needed to successfully operate CAR T Cell Express Modes on the MACSQuant® Analyzer. This training is designed for users*, who will perform CAR T cell analysis only on a MACSQuant Analyzer. *Potential MACSQuant Analyzer key users, who will utilize the instrument for additional assays and flow experiments, are recommended to attend the MACSQuant Analyzer instrument training before attending this specific CAR T cell analysis training.